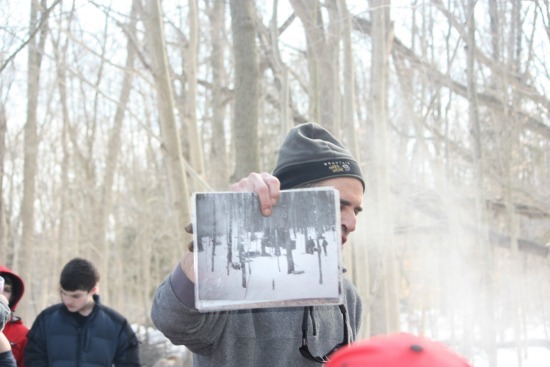 Have you ever wondered how they made maple sugar? We visited a local nature center to learn how maple syrup was made. We learned when the trees are tapped, what type of weather is needed and how to tap the sap and turn it into delicious real maple syrup. I love learning the how and whys of things. When I saw that a near by park was holding a maple syrup presentation, I couldn’t help but learn about it. 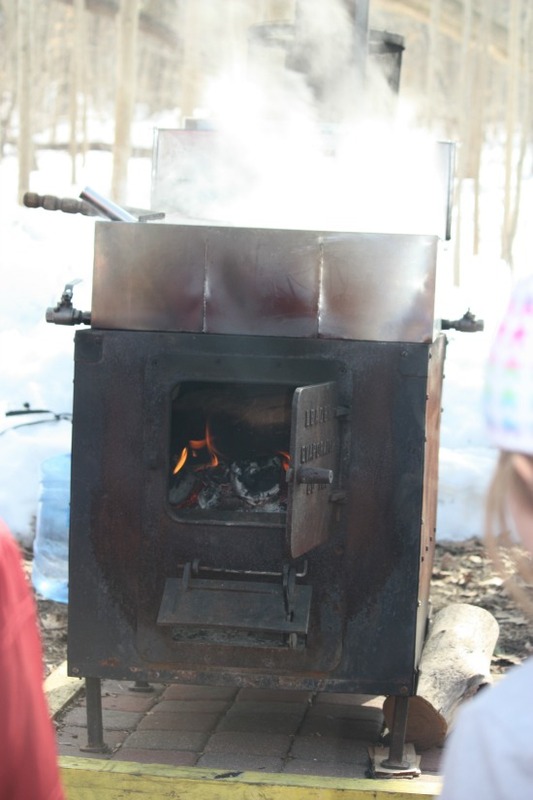 The kids and I went out to the park to learn more about making maple syrup. Visiting a local nature center or area park has many benefites. Some parks have presentations that teach you many things that you might not have learned otherwise and these educational programs are usually free. As a bonus, the more people that visit the park or come to programs, usually means that the park gets more funding and can provide more programs. It is truly a win/win. Why is Maple Syrup So Expensive? Have you ever wondered why real maple syrup is SO expensive. There are a few reasons why maple syrup is so expensive. 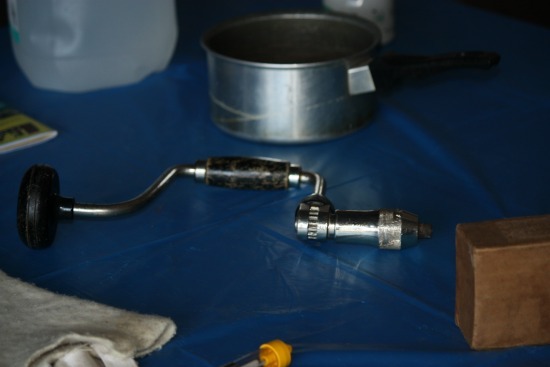 It is because there is a lot that goes into making maple syrup. Maple syrup is only made in a few places in the world. In order the make maple syrup, you need the sap from a maple tree. It is usually made from red mape, balack mable or in my area, it is made from the sugar maple. 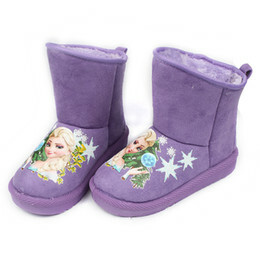 While other maple trees do work to create maple syrup, these are the most popular. I never knew that I could actually make maple syrup from maple trees that grow in my own yard. If I had the patience required to make maple syrup. Another reason maple syrup is so expensive is because it takes a lot of time to make. There are only a few weeks a year that maple sap, what is needed to make maple syrup, can be collected. The weather conditions have to be right for maple sap the flow. In order for the sap to flow, the temperature has to be around freezing and then during the day it needs to be warmer than freezing. What this does is cause the sap to rise and fall in the tree. When it is cold, the sap settles at the base of the tree. As it warms up, the sap travels up the tree. As the temperature falls the next day , the sap comes back down. 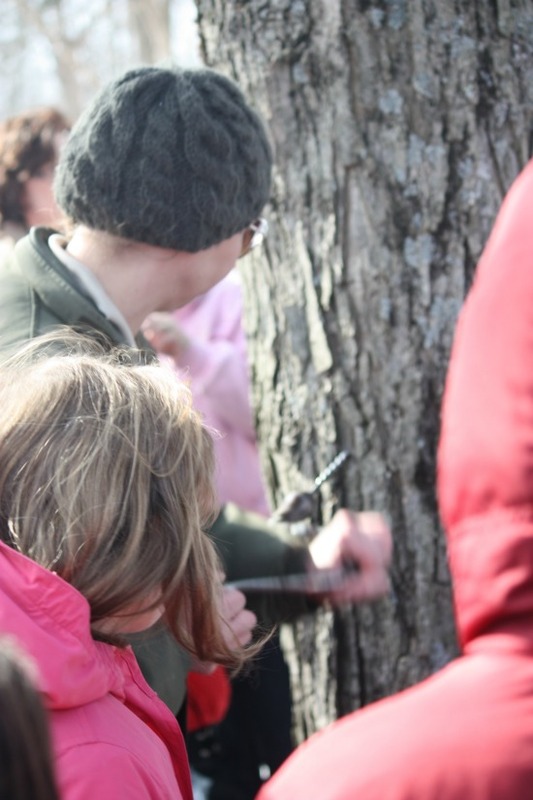 In order to access the sap, you must bore a hole in the tree and put a spout in. Then connect a bucket to the spout. As the sap comes back down the tree, it runs out spout and can be collected in the bucket. For each tree, there is only so much that should be taken from the tree. This keeps the treese healthy. Once the sap has been collected, it has to be boiled, and boiled and boiled even more. It takes about 40 gallons of sap to make one gallon of syrup. It can take a day to boil it down to whe consistancy you want for maple syrup. Besides taking a lot of time, it is a true mess. Everything gets sticky. When the maple syrup is being boiled in an old fashion sugar shack, you will actually stick to floor as you walk. 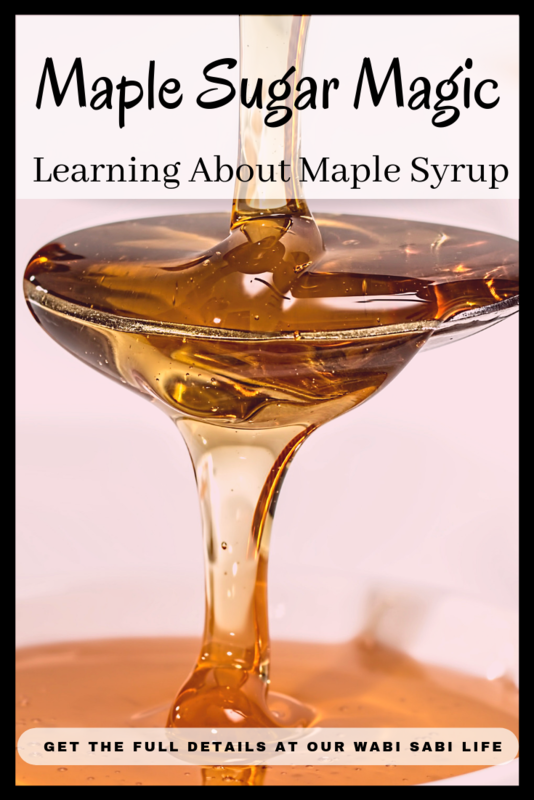 These days, maple sap is boiled in large commercial cookers but if you were making the maple syrup at home or in the old way, you would use a kettle over an open fire. It would take a lot of care to be sure it doesn’t burn. Using this method, the person would take out some of sap/syrup and let it cool. The add it back to the mixture. This cools off the overall mixture and it can keep it from burning. If the maple sap burns, it is useless and smells awful. While no one really knows who discovered that the maple sap tastes good and could be boiled down into the yumminess it is. However, we do know that it was discovered by the Native Americans. 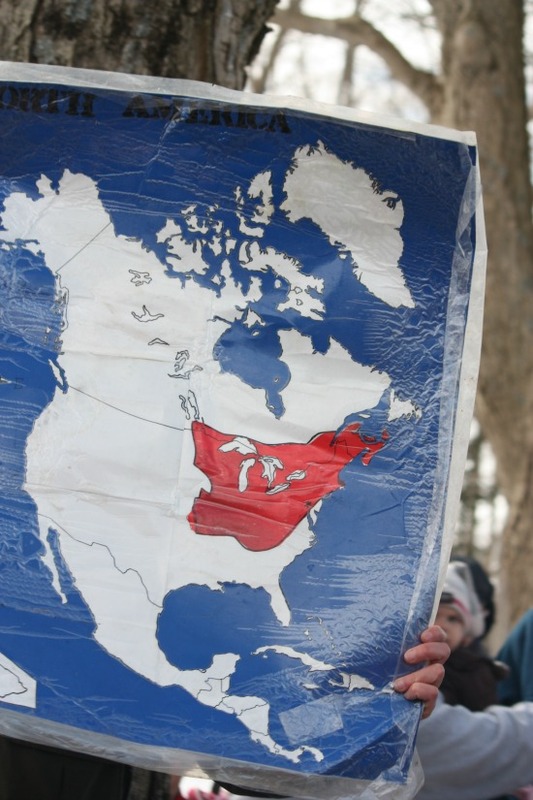 Of course, there are legends about the origins of maple syrup. One of the local legends of how the maple syrup was discovered is by a family in the Lenape tribe. One day a Lenape man came back to the village after a long day of hunting. He stuck his axe into the tree so that it would not be lost. The next morning he went out to go hunting again. His wife decided to make a stew for dinner. The fire and cooking area were located under the tree. She filled her pot with all of the ingredients and let is simmer all day. As the water would evaporate away, she would add more water and let it continue to cook. By the end of the day, the couple sat down to enjoy their dinner. Her husband loved the stew so much and told her it was the best stew she ever made. It was from the sap dripping into the pot and had sweetened the stew as it condensed all day. Of course, there are many techincal issues with the legend, like there usually are, but it is a fun idea of how the maple syrup was discovered and invented. These days, a lot of people have never even had real maple syrup. Most people buy the fake syrup that is on the store shelves. It is understandable because the fake stuff is just cheaper. Since many people are used to that, some can not pick out the real maple syrup against the fake stuff. I however can, and the real maple syrup is so much better. Afterwe learned about everything involved in making maple syrup we were able to go into a bulding that had different types of equipement, pictures and other information about making maple syrup. There are several grades of maple syrup and the grades are usually different prices. From to A to processing grade, it often is the difference in how much has gone into it. We have local places where we can buy real maple syrup, this isn’t the case for everyone. If you can’t find maple syrup at a local store or if you are looking for a better price, check Amazon.